The rising sun peeks in through the window, heralding the start of another beautiful Tucson morning. All across the valley folks stretch and yawn, drawn out of bed by the enticing aroma of coffee and wondering, “What’s for breakfast?” It’s a good question and one with many delicious answers because Tucson is blessed with some of Arizona’s best places to enjoy a hearty breakfast. Down home hearty cooking, delicious Southwestern cuisine or even a taste of Europe; it’s all on the menu and waiting for you to sample. The best breakfast spots in Tucson offer something to suit every taste. 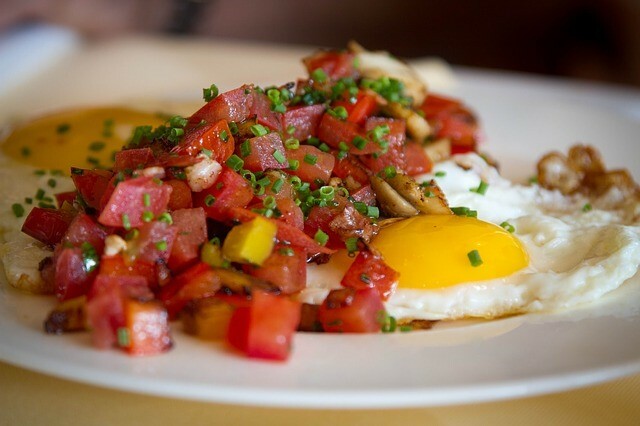 Take your time, and have a culinary adventure discovering breakfast in Tucson. Try something traditional for breakfast in Tucson this morning like a generous platter of biscuits and gravy down at Bobo’s Restaurant. Welcoming as your mama’s kitchen, Bobo’s is the place to be if good food and plenty of it is in your wheelhouse. Try jumbo sized chocolate chip banana pancakes, eggs your way or feel free to order off the lunch menu during breakfast. Bobo’s service is excellent, the coffee cups are always full and you’re welcome to come early for the $1.99 early bird specials. If something a bit more elegant is your desire, spend your morning at the Cup Cafe inside historic Hotel Congress. One of the most popular places to get breakfast in Tucson, Cup Cafe patrons enjoy classic American dishes prepared by experts. Popular breakfast dishes include crepes, steak and eggs or their famous Quiche du Jour. Trust us… You’ll want to come back often. Travel to France without ever leaving Tucson. That’s right, enjoy “Frenchness Guaranteed” when you sample the breakfast fare offered up by award winning restaurateur Coralie Satta at Ghini’s. An authentic French Cafe in the heart of Tucson, Ghini’s is famous for breakfast treats like Eggs Provencal and apple rum and chocolate crepes. Everything is fresh and locally sourced to ensure only the highest quality dishes end up on your plate. Ghini’s fresh baked croissants, omelets and imported luxury cheeses are enough delight the most jaded palate and they even have the answer to last night’s overindulgence on the recovery beverage menu. How about looking outside the box to find a truly unique breakfast in Tucson? Gus Balons is a unique combination of the classic American diner and a walk on the wild side. Open since 1965, you’re sure to enjoy the great food and down home atmosphere every time you stop in. Be sure to ask about their signature cinnamon rolls when you order. Where else in Tucson can you find a delicious classic American diner breakfast and cinnamon rolls bigger than your plate? Only at Gus Balons. So the next time you’re craving an indulgent breakfast or weekend brunch, check out one of these top breakfast spots in Tucson.